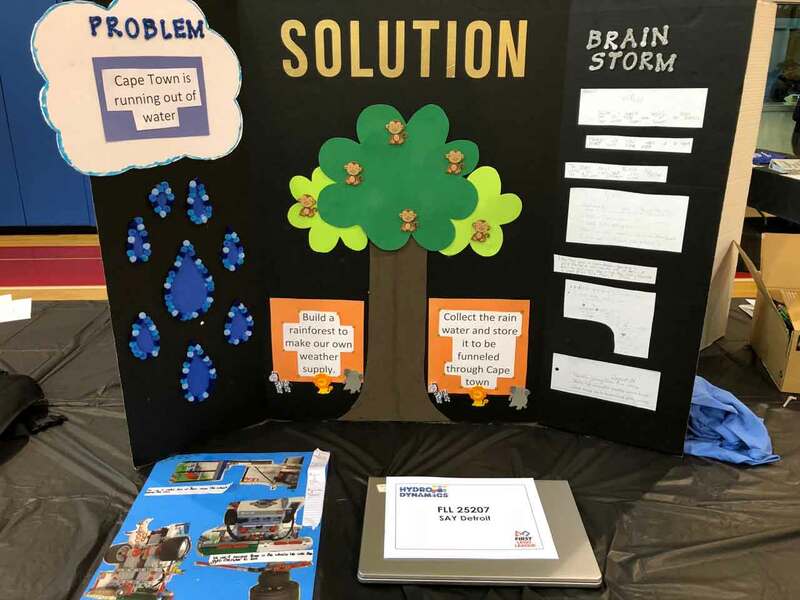 On May 19th, S.A.Y. 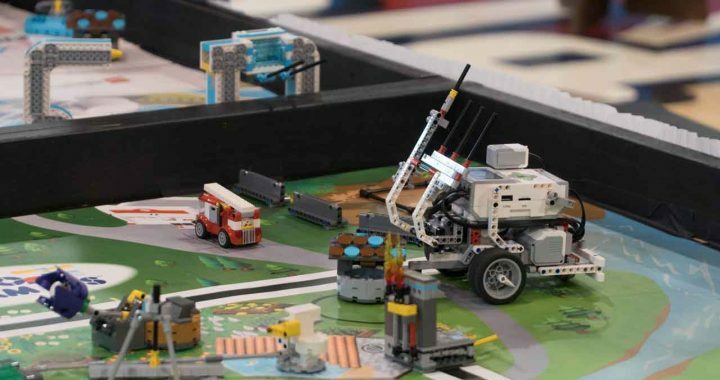 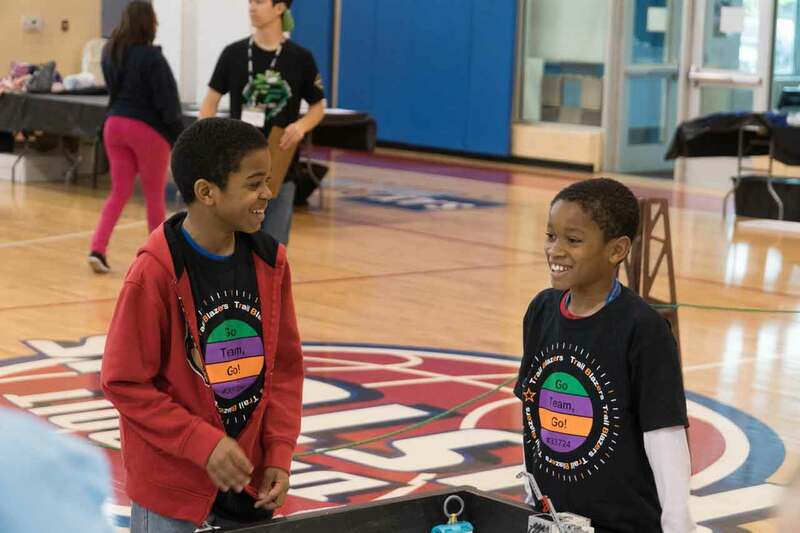 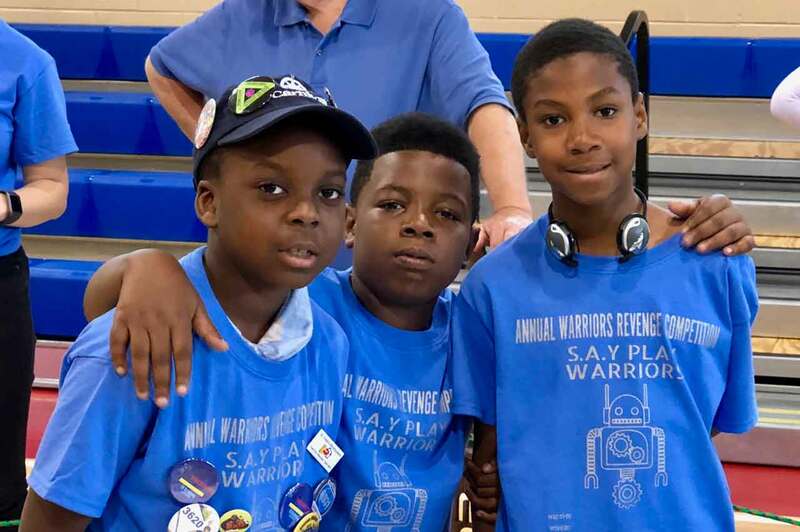 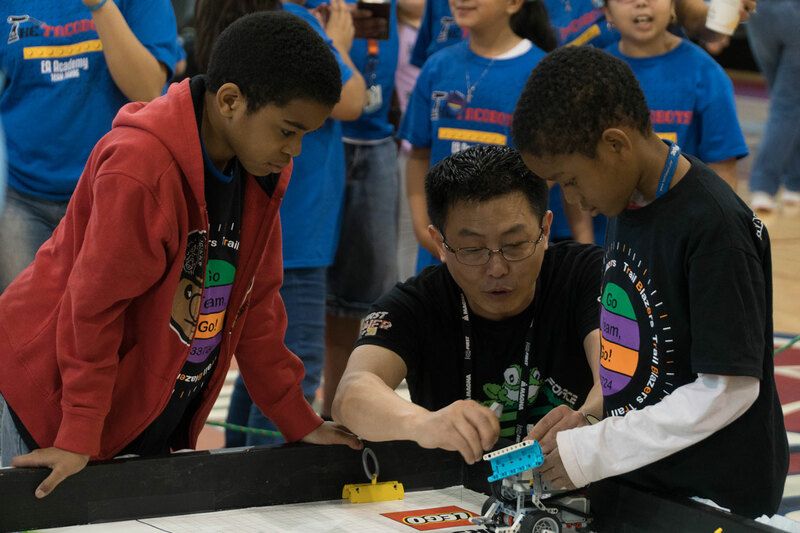 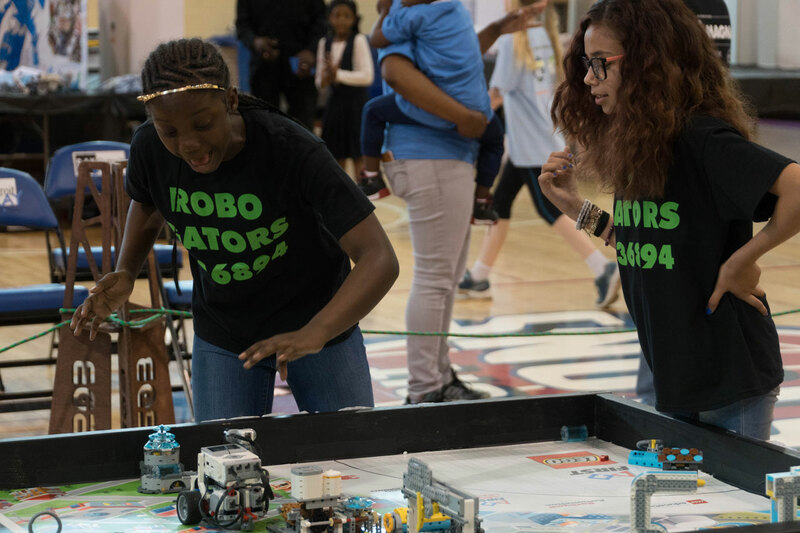 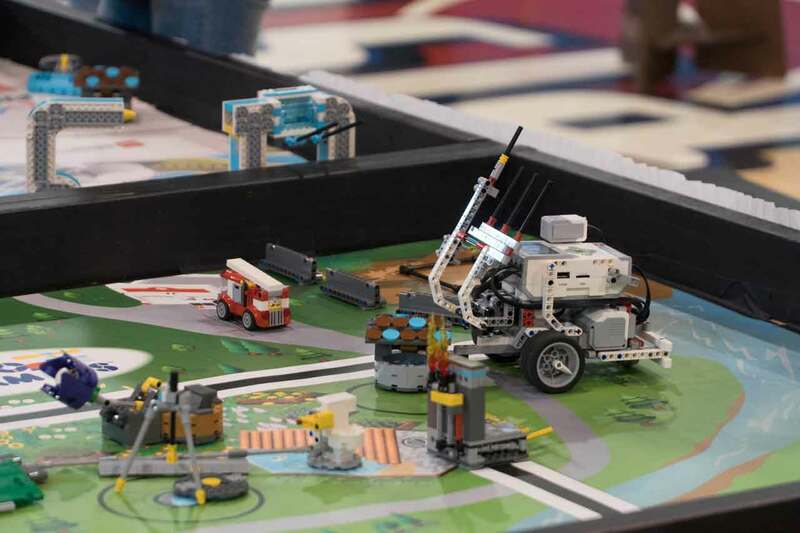 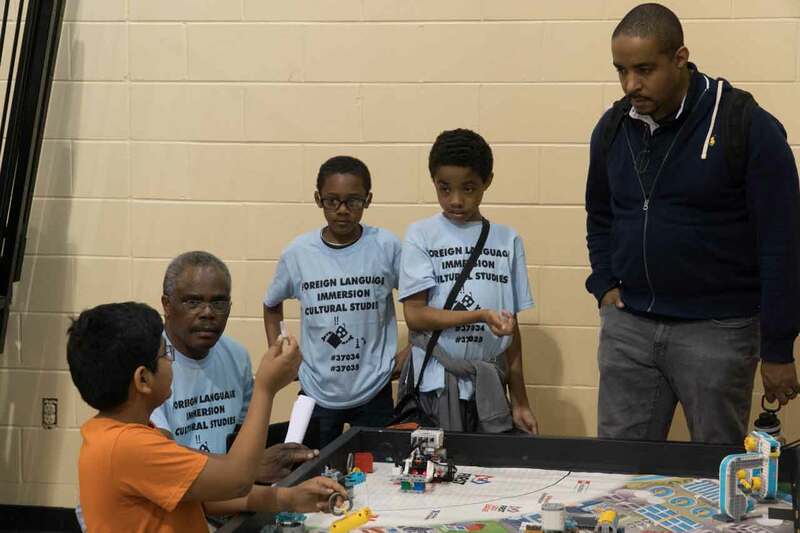 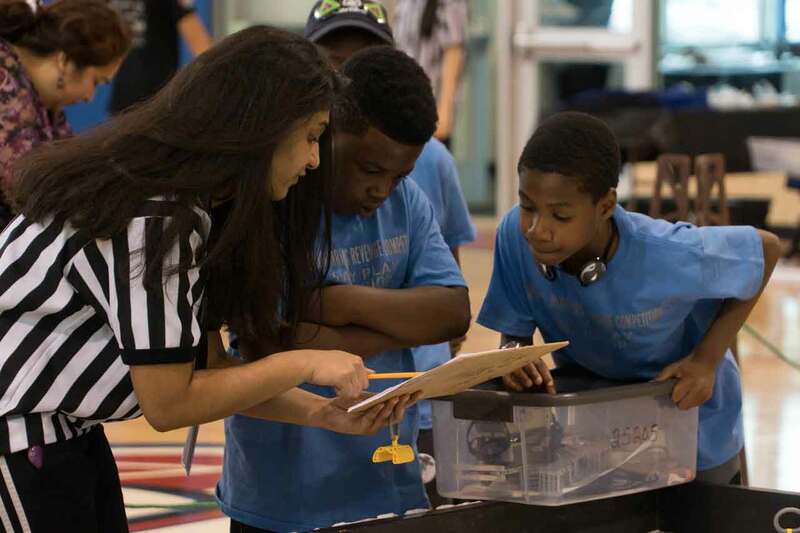 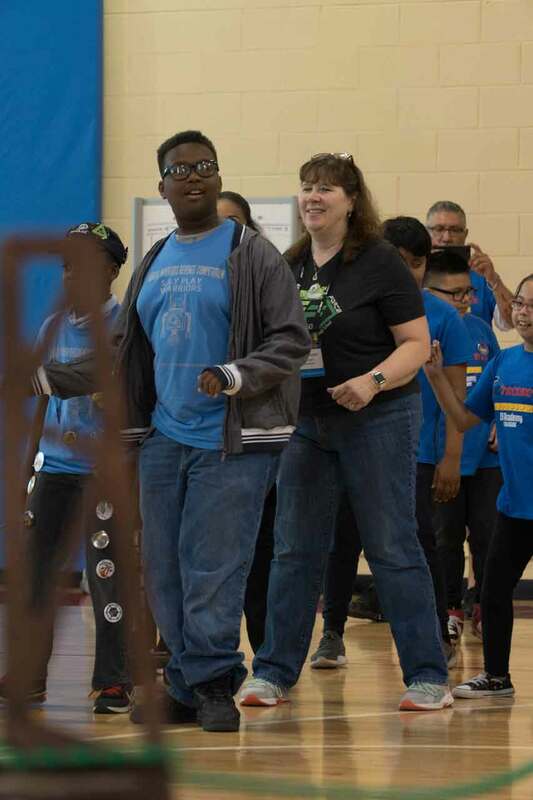 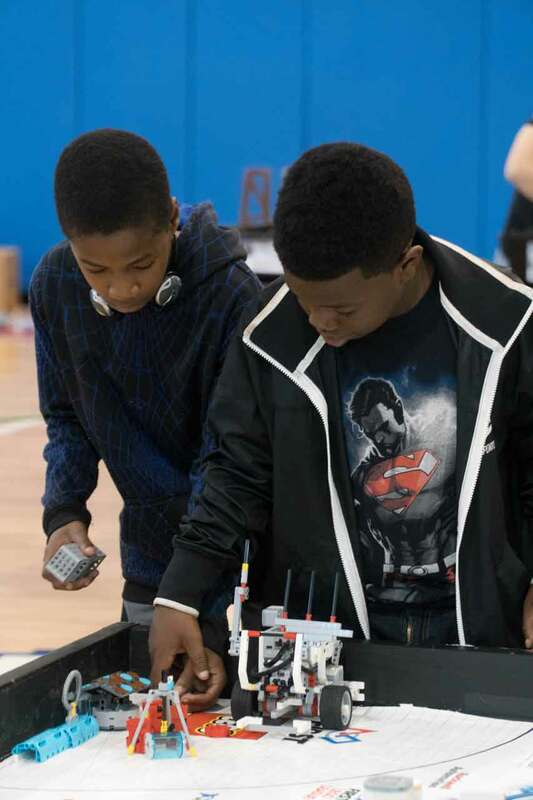 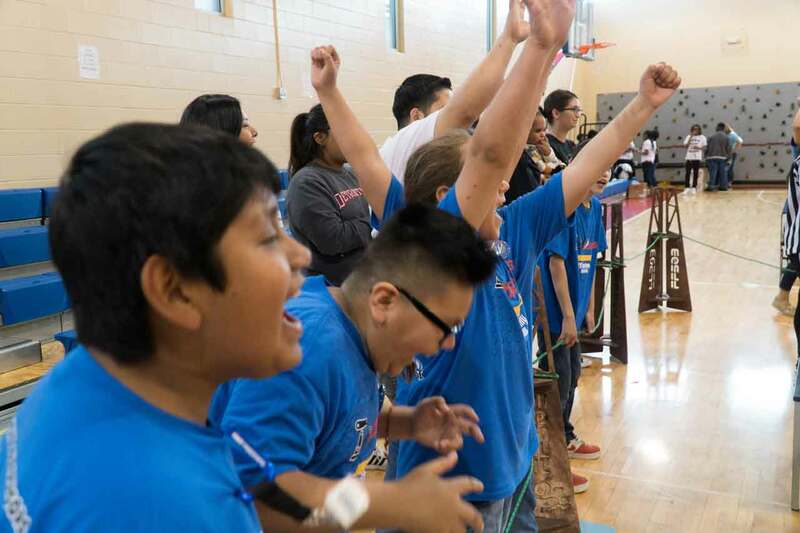 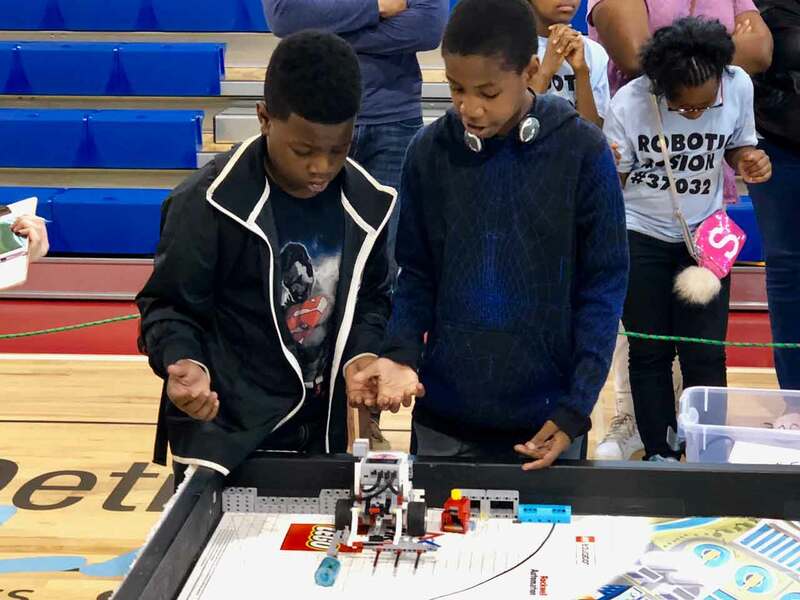 Play hosted its second annual Warriors Revenge, a FIRST Lego League robotics invitational. 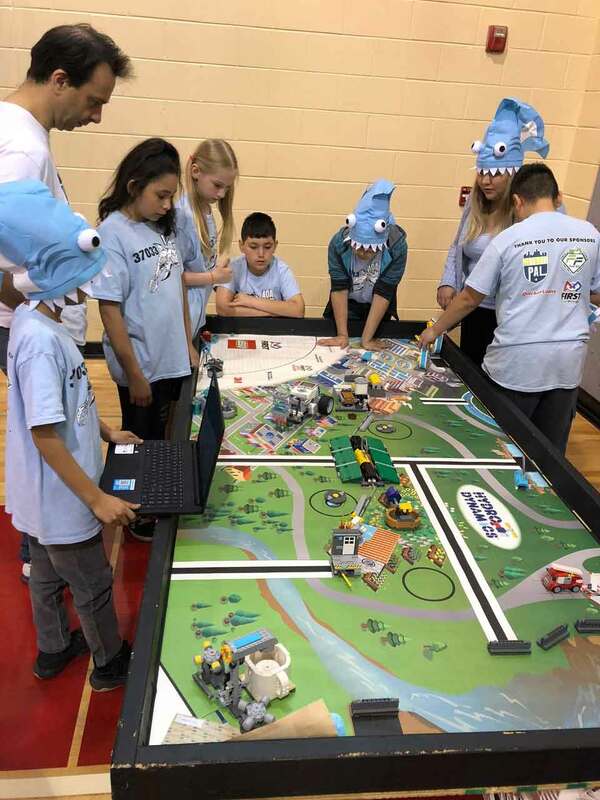 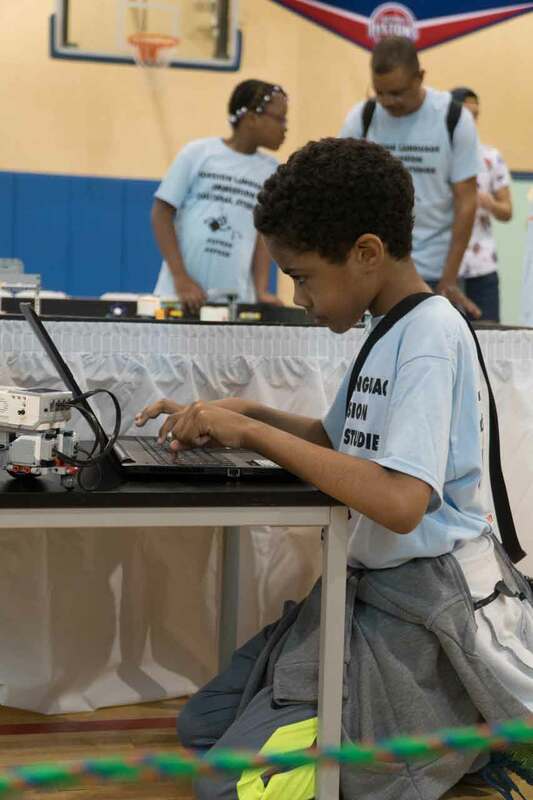 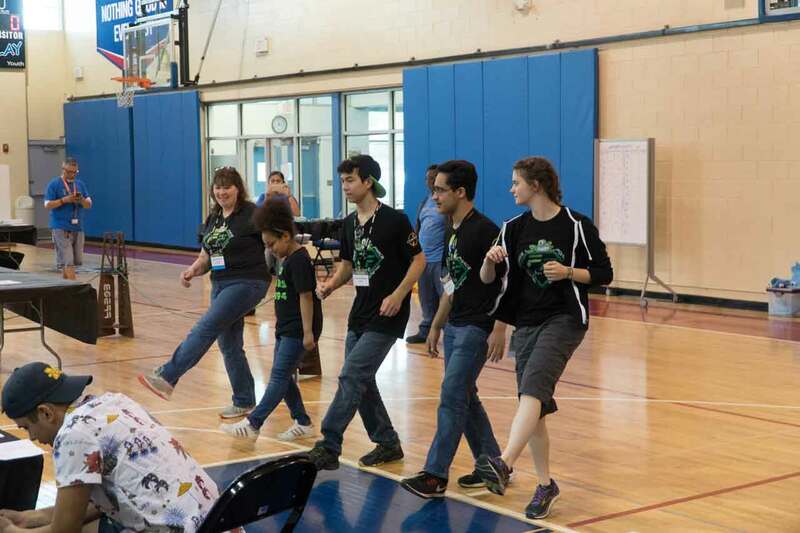 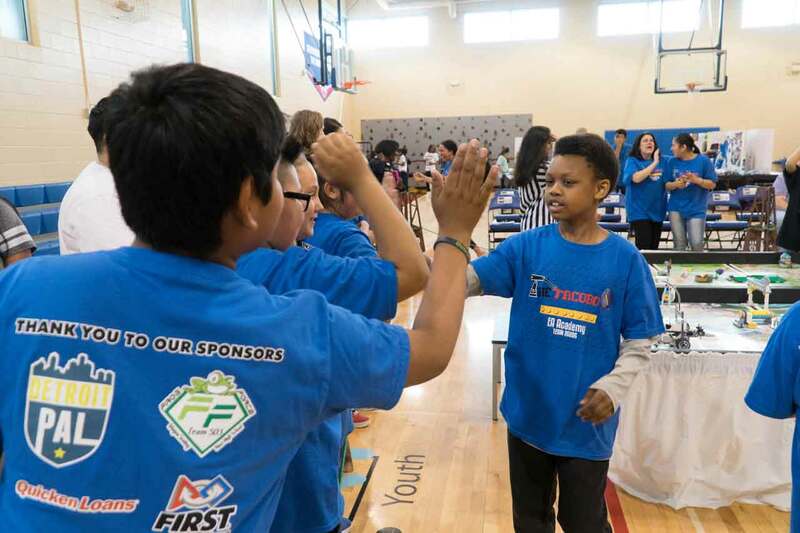 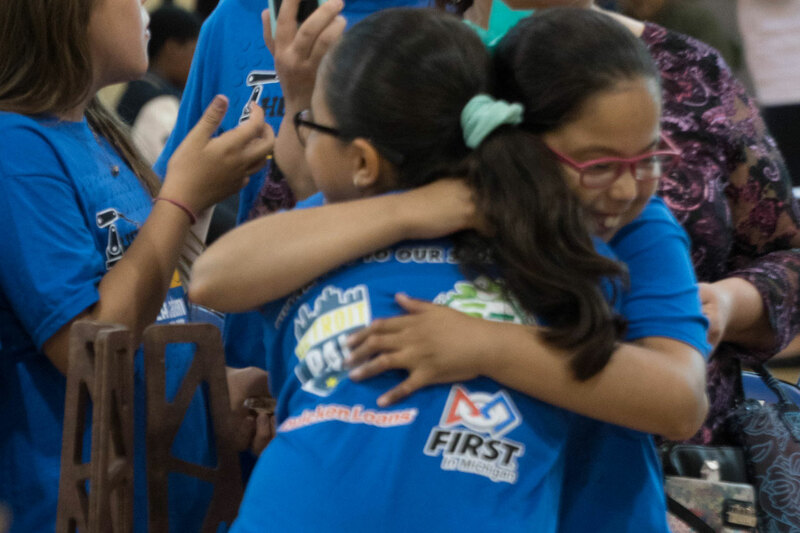 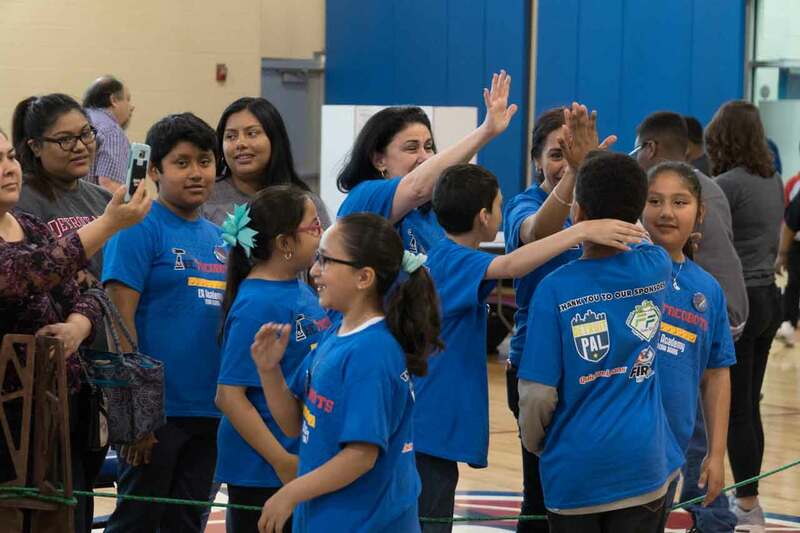 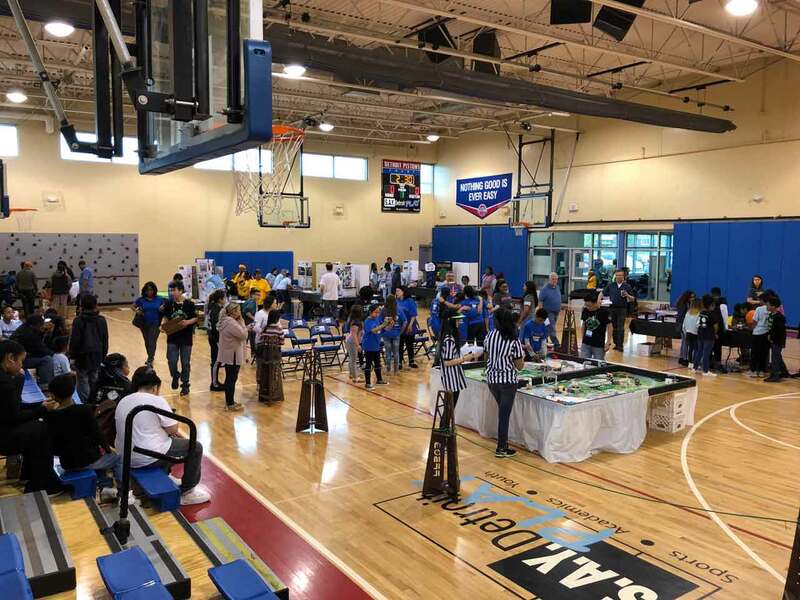 The invitational is a friendly competition in celebration of the end of the recent FLL qualifying season, and in preparation for the coming season that begins in the fall. 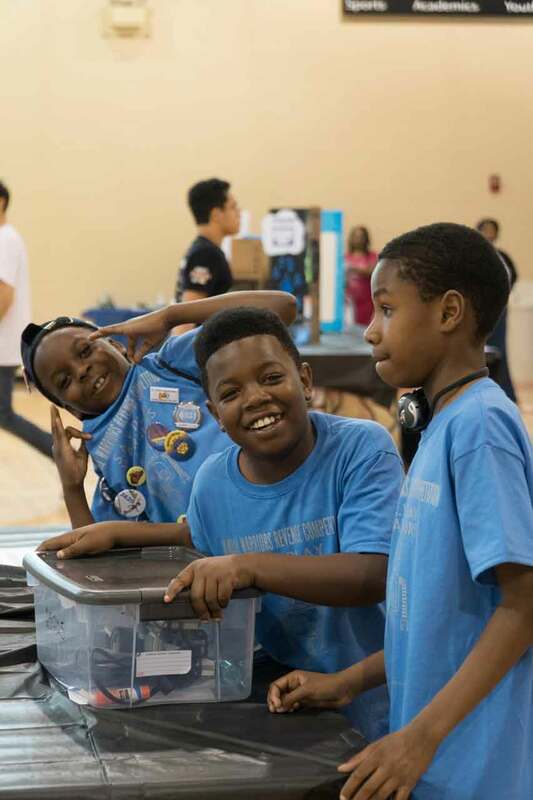 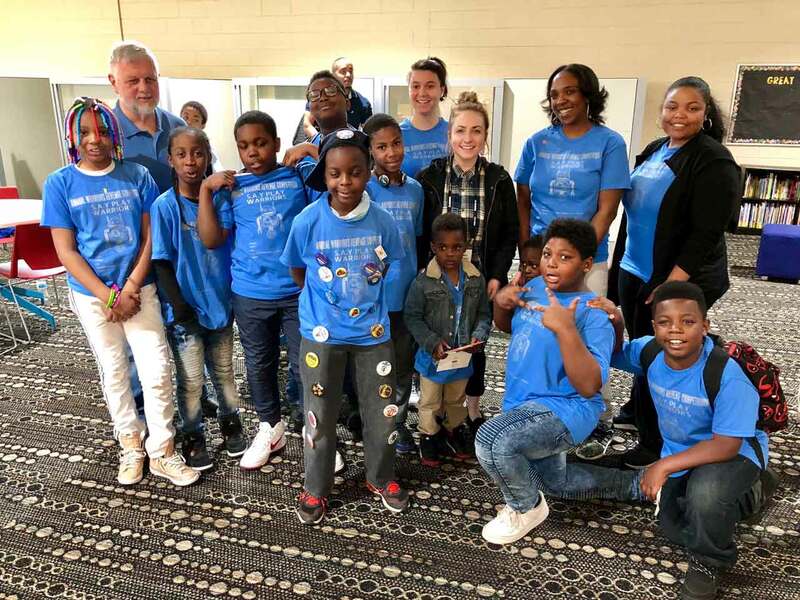 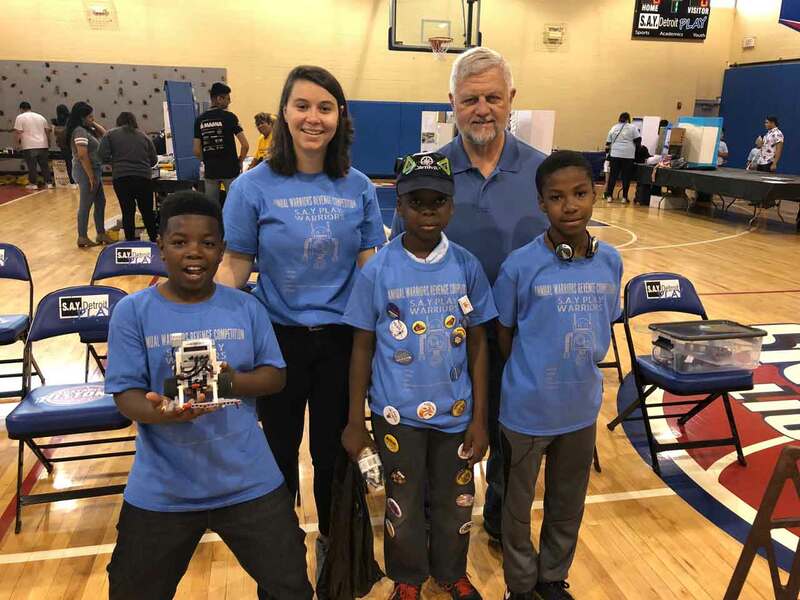 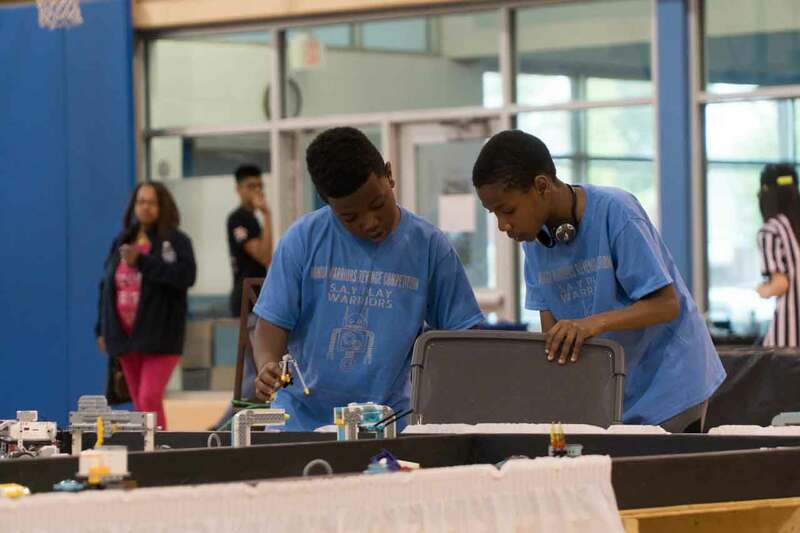 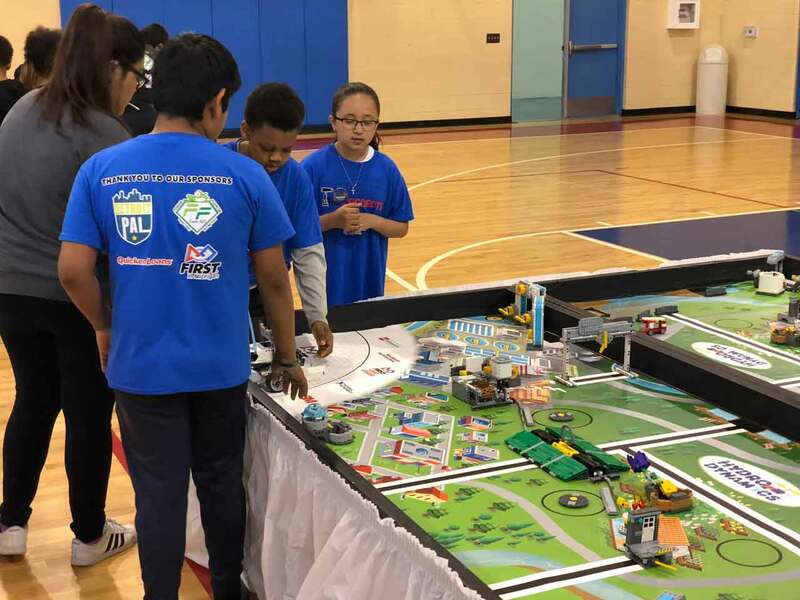 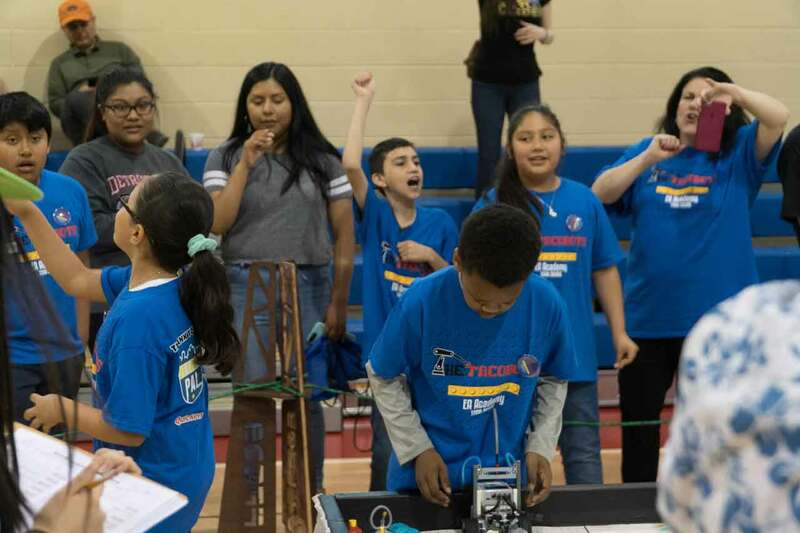 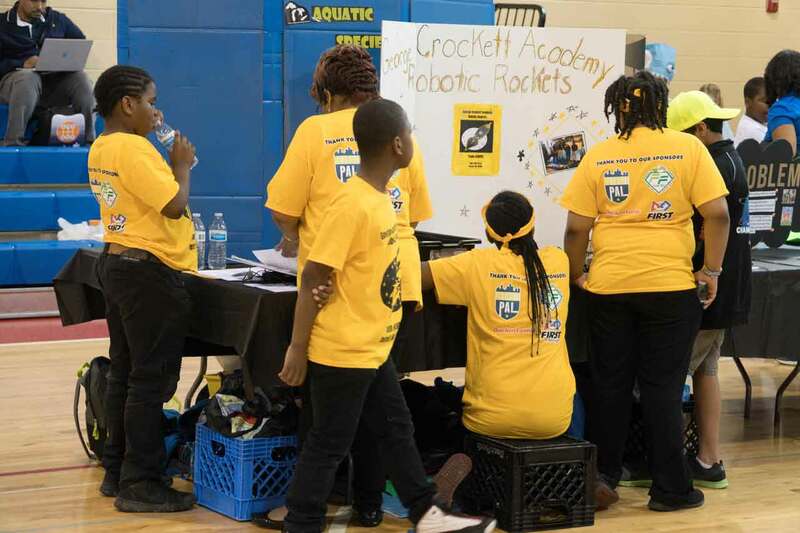 In two challenge rounds, thirteen teams from Detroit designed and built a robot using LEGO Mindstorms, and also researched, developed, and presented a solution to a research problem having to do with water. 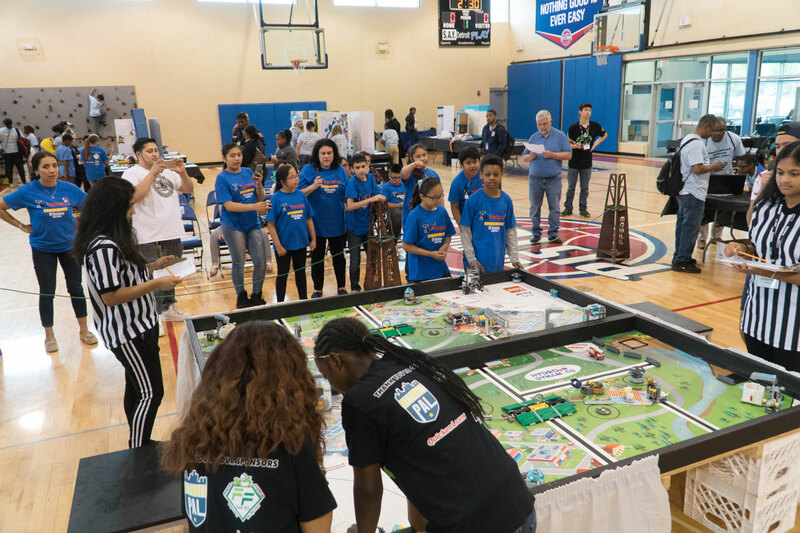 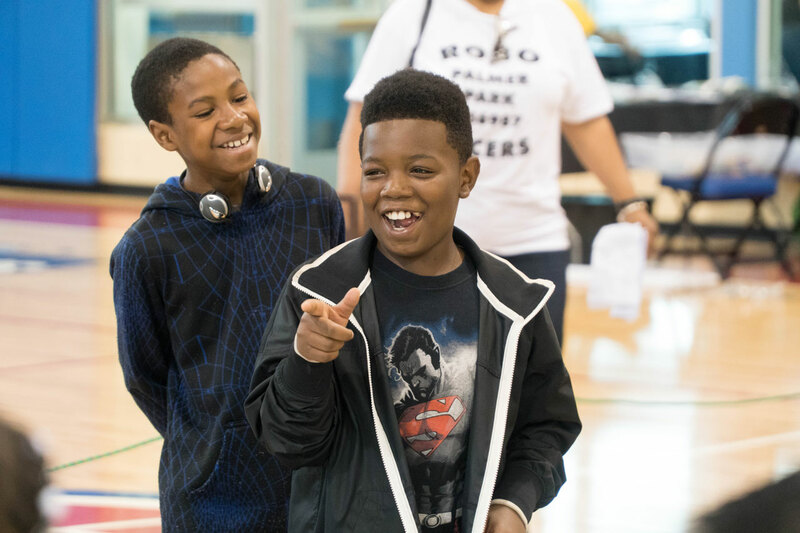 In morning and afternoon rounds, robots were put to the test in challenge tasks on the playing field in the Robot Game, while teams presented their research on the Core Values challenge. 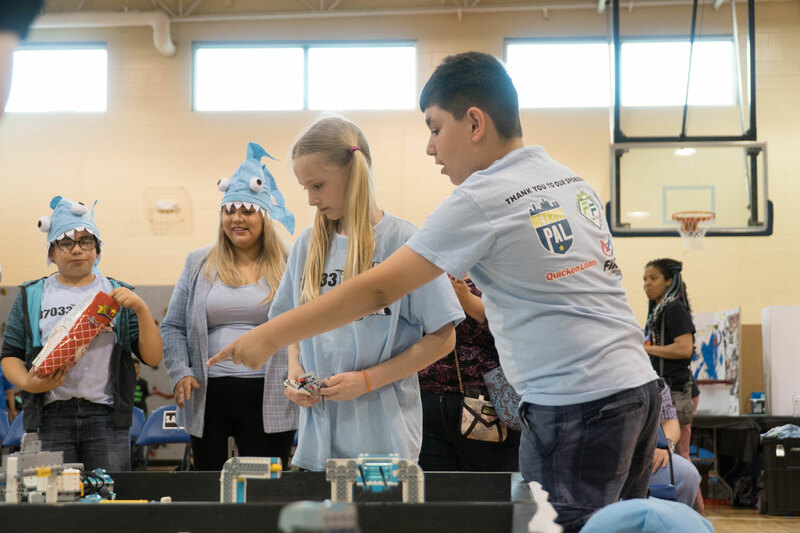 Teams were evaluated by a panel of judges and score points on their ability to collaborate and work quickly to resolve the issue. 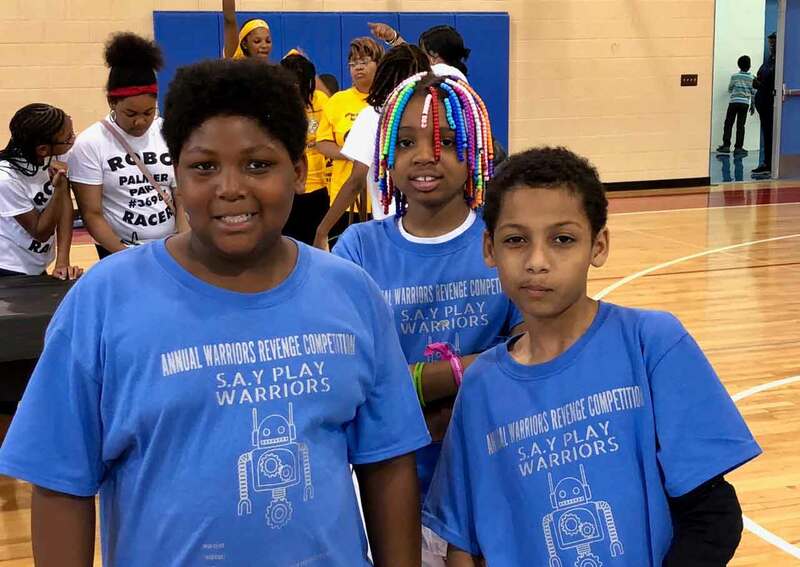 A special thank you tothe leadership of Lindsey Gehlhausen (Robotics Coordinator), Jenell Mansfield (Director of Academics), and Janelle Moore (Frog Forc 503 Mentor), and to all the volunteers from Frog Force 503 and Cooper Standard, who serve as coaches, mentors, referees. 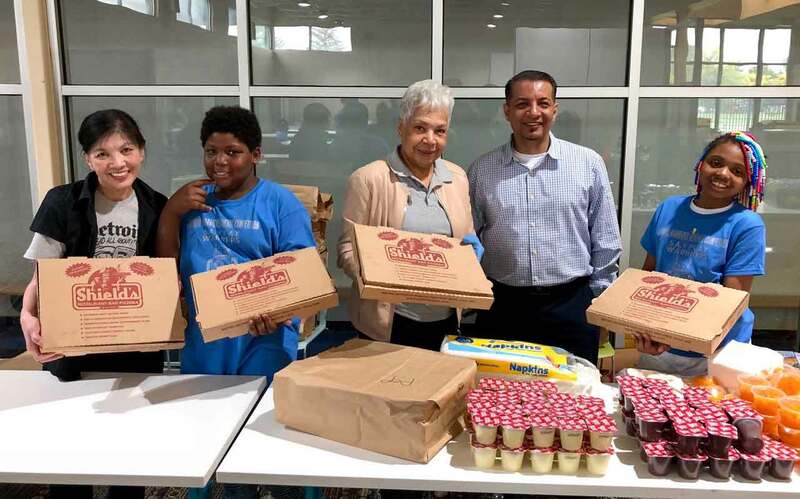 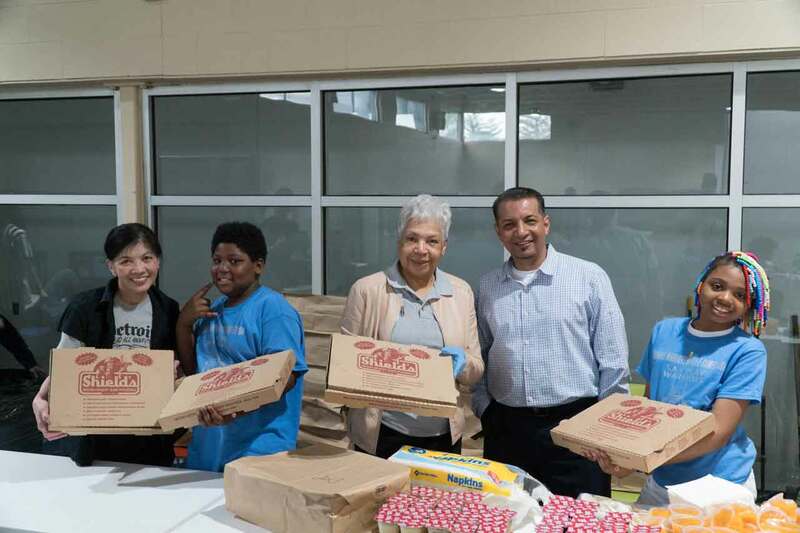 Lunch was generously provided by Peter Andoni of Shield’s Pizza.